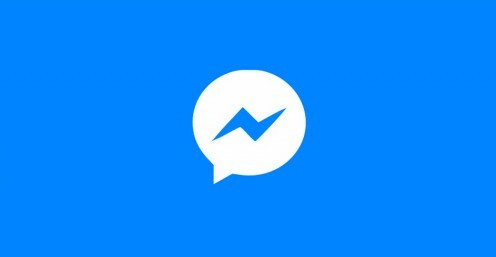 Facebook Messenger is a convenient and easy way to participate in a mobile messaging conversation with a large group of people. However, the notifications and alerts can be frustrating if individuals within the group use the group messaging conversation to have a personal conversation, or if users within the group are messaging constantly, causing your phone to never stop vibrating or ringing. When the time comes that you can't take it anymore, Facebook gives you the option to leave the group Messenger chat you're involved with, or mute it for a temporary reprieve. 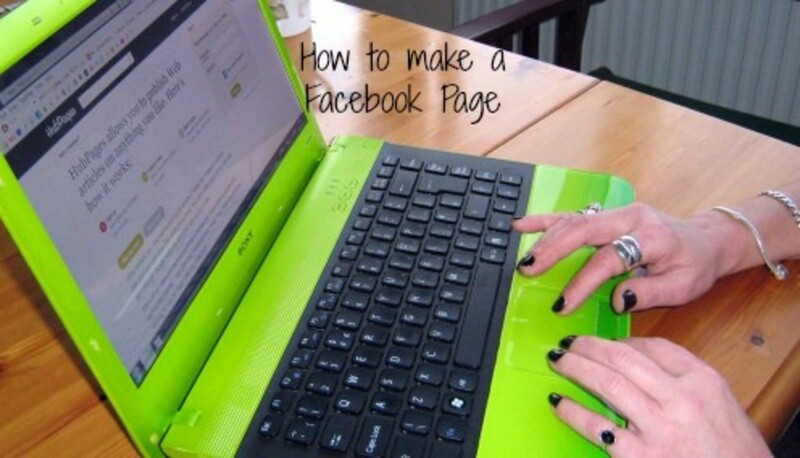 Open the Facebook Messenger app on your smartphone. Tap "Home" on the left side of the menu along the bottom of the screen. The Home icon is in the shape of a house. The icon will be filled with white and outlined in gray before you select it, and will be dark blue after you select it. Select "Messages" in the menu along the top of the application. The Messages text will turn dark blue after you select it. Navigate to the group conversation you want to remove yourself from. Additionally, if the conversation you want to leave involves a specific person, you can search for that person in the Search box at the top of the screen, and only conversations that person is involved in will appear in your conversation list. Hold your finger against that conversation until a context menu flies up from the bottom of the screen. If you're using a device that has 3D Touch or Force Touch, you'll need to be careful not to press to hard. If you press too hard, you'll either see a preview of the conversation or open the conversation. Tap "More" in the context menu. Another context menu replaces the existing one. Select "Leave Group," which appears at the top of the list in red lettering. 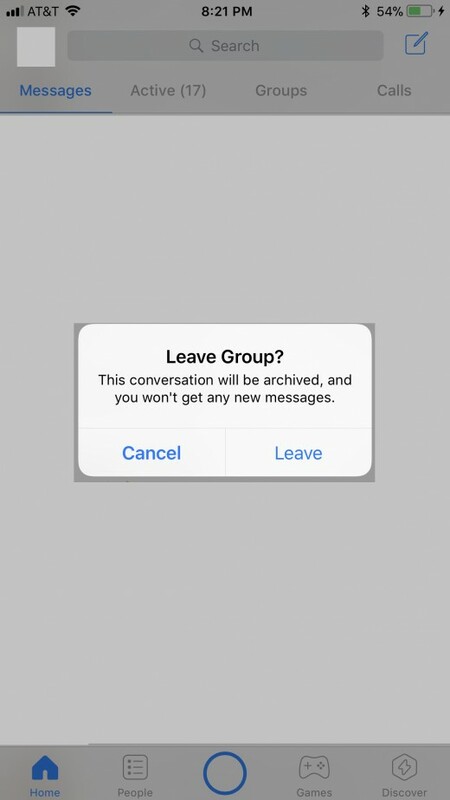 A Leave Group dialog box appears in the center of your screen, informing you that this conversation will be archived, and that you'll no longer get new messages sent by other users in this group conversation. Tap "Leave." That specific conversation will be removed from your Messages section, and you'll no longer receive messages sent by other users in that group conversation. 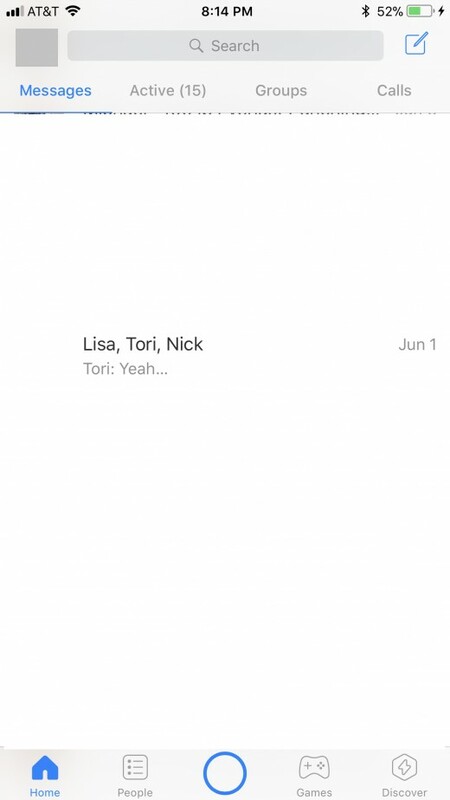 Repeat this process for any additional Facebook Messenger conversations you want to leave. Tap "Home" on the left side of the menu along the bottom of the screen. Select "Messages" in the menu along the top of the application. 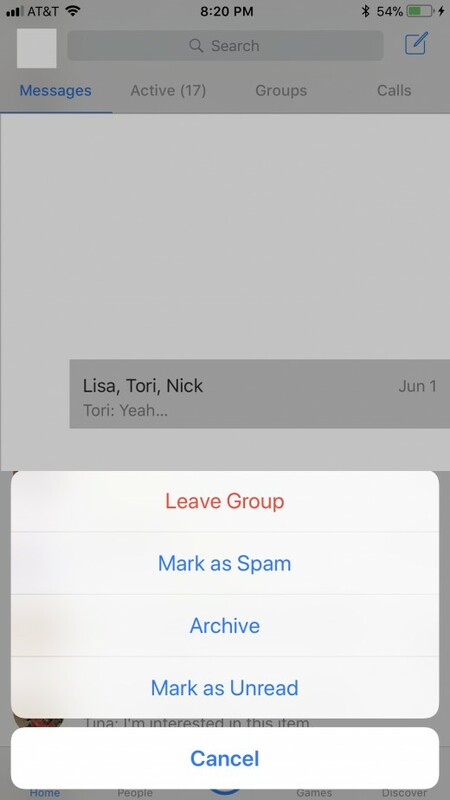 Navigate to the group conversation you want to remove yourself from. Hold your finger against that conversation until a context menu flies up from the bottom of the screen with various timed options for muting the conversation, or you can opt to mute it until you manually turn it back on. Tap your selection for how long you want to mute this conversation. The menu at the bottom of the screen will close, and you'll notice a gray speaker icon with a diagonal line through it to the right of the conversation you chose to mute, indicated that conversation is currently muted. If you designated a specific period of time to mute the conversation, the speaker icon will disappear after the defined period of time. Alternatively, if you chose to mute the conversation until you un-muted it, you'll need to follow Steps 1-5 to return to the fly-up menu, and then select "Unmute" in the fly up menu to un-mute the conversation. 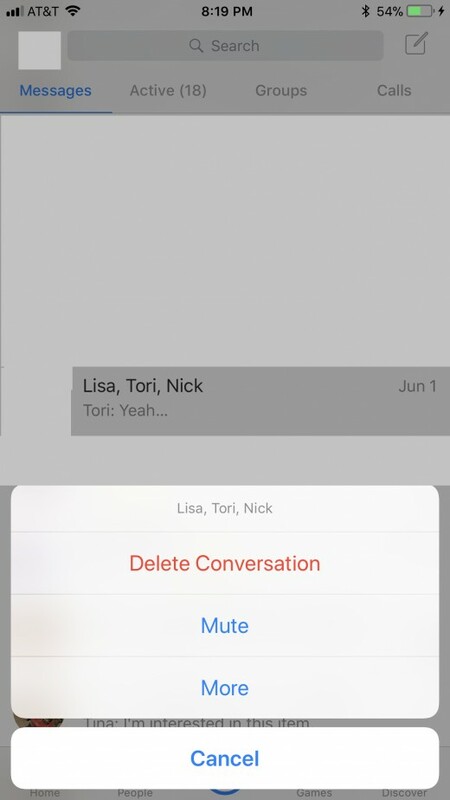 Repeat this process for any additional Facebook Messenger conversations you want to mute.